I always wondered what it would be like to run a marathon.. what an achievement (as a child I would always say that’s like running to Norwich!) I was so intrigued from such a young age when I was 17years old I applied to run the London Marathon. You can race once you are 18years old and on the application I confirmed that by race day I would be 18. I got a place for charity and in 2006 I joined the spectacular that is the London Marathon raising £5,600 for Children with Leukaemia. Since that painful 4hours and 26minutes of refusing to walk my best friend Emma convinced Ben and I to run the Paris marathon with her.. an even more painful 4hours and 30minutes. But I never really wondered about an Ironman.. that just seemed ridiculous and super human. Fast forward 6 years and on the 30th September 2017 I was stood on the beach in Calella as the sun came up in spectacular fashion ready to take on Ironman Barcelona. 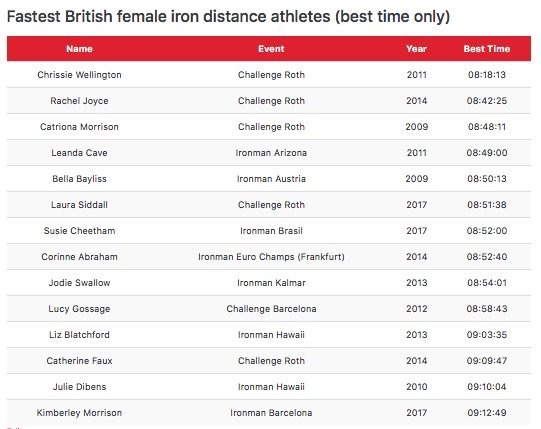 I stood there excited by the challenge and didn’t feel the distance was out of my depth and I was confident to race the distance..
Rewind to the year before (2015) when I was in Switzerland with my coach Mark Pearce on training camp and the Ironman conversation came up. 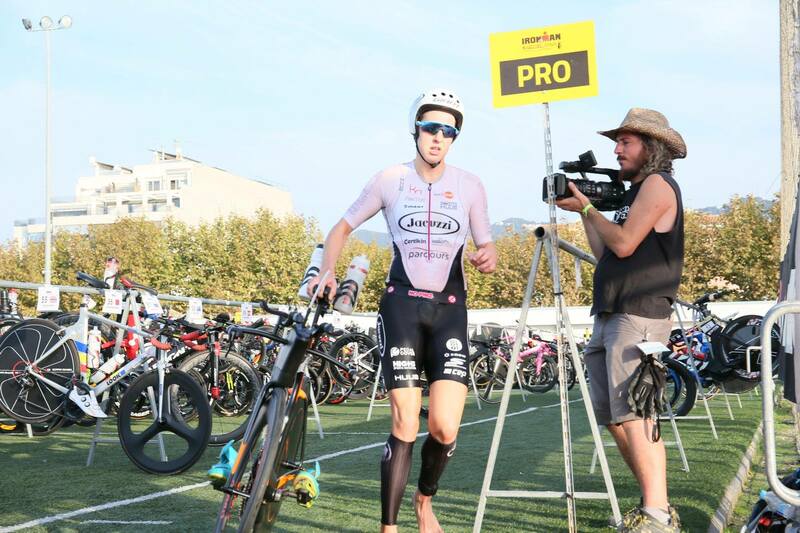 I smiled and said.. “yes potentially a longer term plan for us, it would be a dream come true to race in Kona, Hawaii” (at the World Championships). 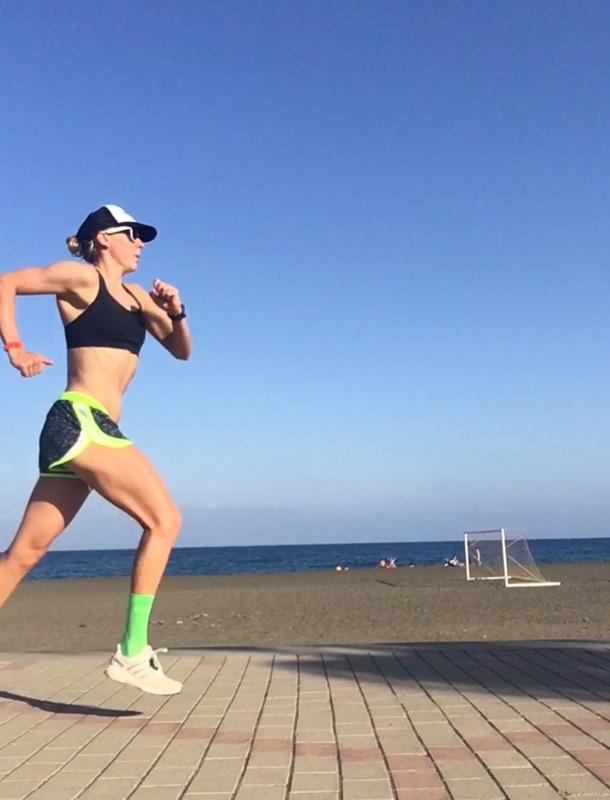 As my 2017 race season unfolded my wonder grew about how I would cope at the Ironman distance so we popped some interesting testers into my training. The most notable was our local Norfolk Wheelers 100mile TT. Having never ridden this distance it was time to put the aero kit on and push the pedals for 100miles and see what happened! I finished in a time of 4hours and 4minutes beating the course record by over 15minutes and placing third overall including the men. This was a strong sign but as Suka (our Alaskan Malamute) was their to greet me post 100miles in the saddle and I could barely cuddle her.. my body was consumed with pain. Nathan, a good friend, said “Kim I am going to do a little run if you fancy joining?” I could barely walk into the club house let alone think about a run. 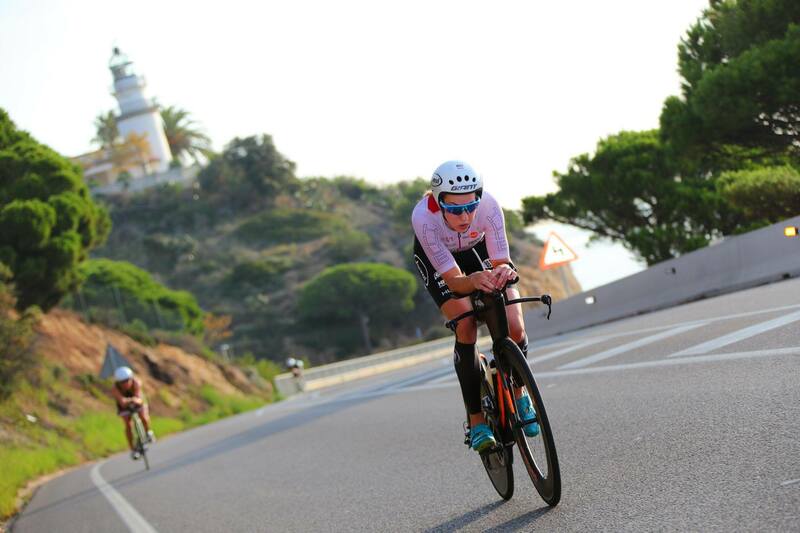 My ambition for an Ironman began to grow.. if I could bike strong and be able to run off the back it could be a very exciting debut..
We began to up the run mileage on my solo heat camp in Fuerteventura that provided us with the miles we needed to be confident I could run the distance without hurting the 70.3 (half ironman distance) speed I was developing ahead of the 70.3 World Championships. 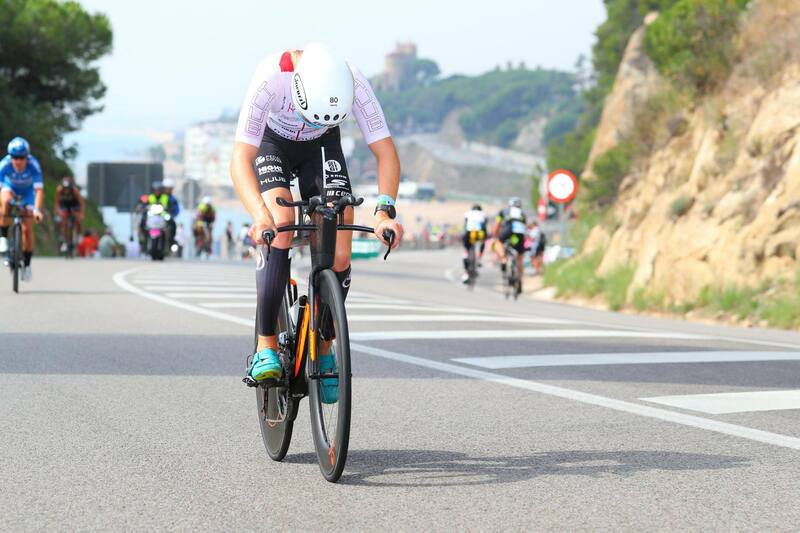 After finishing 18th at the Ironman70.3 World Championships I was motivated to have a performance I knew I could do at Ironman Barcelona 3 weeks later. So as a training adaptation I woke up the next morning, run trainers on ready for a 90min run along the river with Ben beside me on the bike. The family then joined me for a refreshing swim in the river and I got myself ready for more training the next day. I went out on my bike and enjoyed 2hours of Tennessee countryside. It was then the “perfect storm” Hurricane Irma forced us to stay at the airport for 36hours where I got some rest and recovery with Mum, Dad, Ben and a great friend Amy who also raced. After some patient persistence with the airline at Atlanta airport we were all booked on a flight the following evening and we settled into our Hotel all with a wine glass in hand (beer for Ben)! 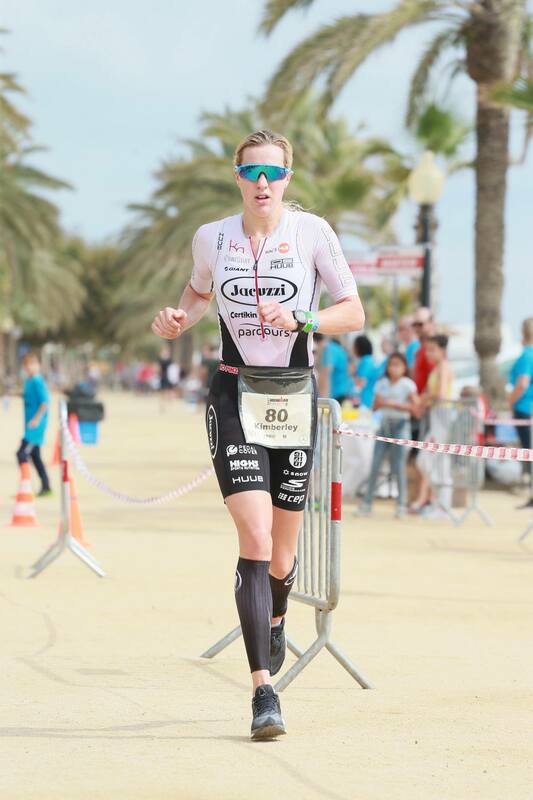 Ironman Barcelona had now been entered and I was on the start list. I have always started every race I have put my name on.. so I didn’t take this lightly, this meant I would be taking on my first Ironman. 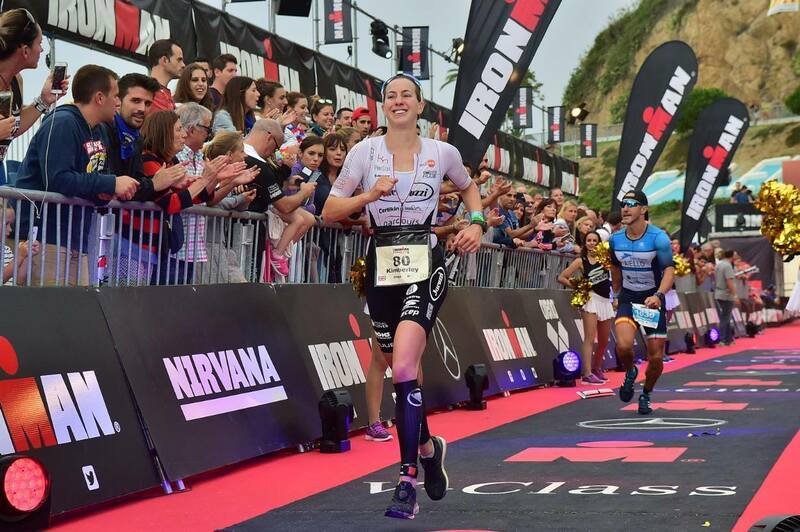 The key confidence prep sessions were 10days out from Ironman race day. This was pretty close to the race but we had tight time lines given my return from Chattanooga and the recovery required. On the Wednesday I went out on an IM SST Endurance Ride.. this was in summary 4hours and 30mins riding at an uncomfortably comfortable pace with a low variation index. The next day was full of running.. 25.2miles split into a “triple run day” thank you so much to Emma who joined me for the lunch time run, we had some tempo efforts in there and everything was feeling OK. I took a couple of days to recover and Leon my sports therapist (Stay Body Fit) helped this process along nicely as well as the Jacuzzi hot tub fortunately sat in our garden for optimum daily recovery (an incredible sponsor that I am so grateful for). I then had very little to do but stay healthy and keep ticking over. Thank you Alan (Performance Chef) for taking breakfast and diner decisions out of the equation, Ben and I were eating like Kings and Queens. Friday morning, 24hours before the Horn would go off.. my coach Mark met us at the swim start for a swim recce. I always like to get in the water the same time the race will start the day before, this helps to see what the sun will be doing. Three of us Intellitri athletes dove into the water and got a feel for the course and the sea condition, beautifully calm that morning. I then popped out on the bike as the first 3km was technical and full of speed bumps. Ben filled my bottles with tap water just so I could ride and check then wouldn’t jump out at the speed bumps and I wasn’t at risk of loosing any nutrition.. all was perfectly OK here. I returned back to Mark and Ben who were enjoying coffee (and cake) and my Di2 battery was dead (this meant I had no means of changing gear). A very relaxed Mark provided me with confidence that if that happened in the race there was a way to get the gear I wanted and at the same time Ben was planning a battery change and a good charge. This solved the problem and just highlights how grateful I am to those around me that care so much for a perfect race. How was it that I finished my first Ironman with no emergency toilet stops and zero chaffing? 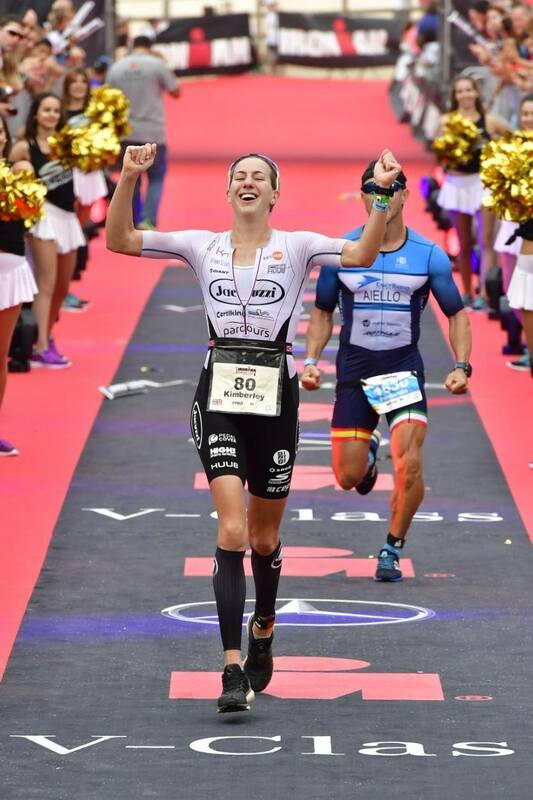 I must thank two super Ironman athletes that have provided me with so much information and insight into what works for them and how it could work for me. Lucy and Nikki thank you.. I took all your advice on board and this helped me perfect my nutrition plan and my belief in the execution of the race. Race Morning… just like a 70.3 but don’t push quite so hard (that sounded OK) the distance wasn’t making me nervous, the race was! 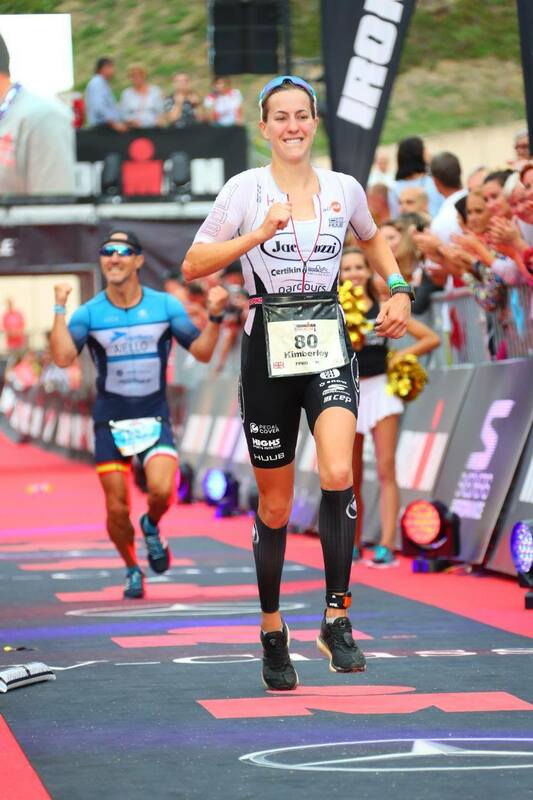 I was fortunate enough to spend time with Yvonne in Lanzarote earlier this year and she has a wonderful energy and kindness that was so lovely on the start line of my first Ironman. (Yvonne was stepping onto her 39th Ironman start line that morning). No more thinking time 2minutes after the men our horn went and we were in the water. The 3.8km swim took us alongside the beach of Calella out and back in an oblong loop. I got an excellent start and settled onto the lead swimmer, Kate Comber, for the first half of the swim and on our return back I settled a little further back but stayed in touch with the front of the race, perfect race tactics although I could do with some work around the turn buoys I seem to loose a gap every time.. I shouldn’t be scared of them they aren’t real boys! Into T1 and this was far from perfect. 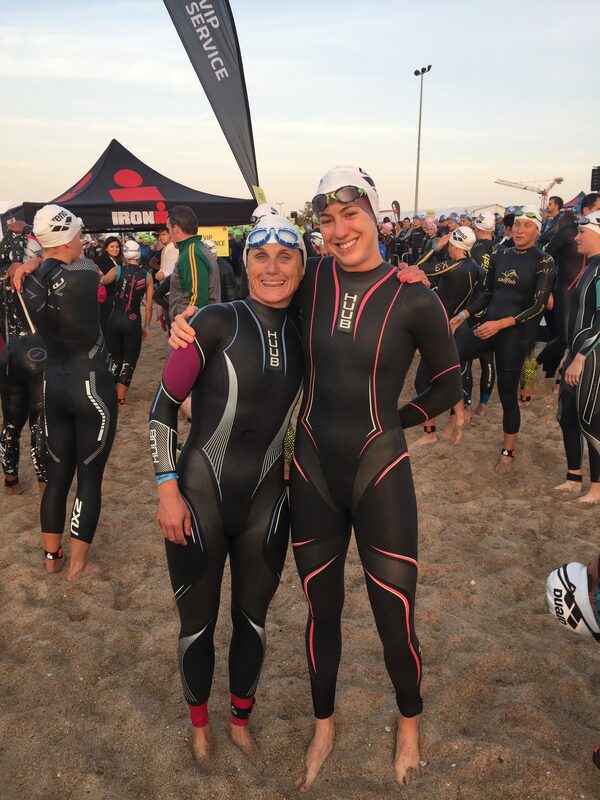 I lost all the girls I swam in with and I was getting assistance with my T1 bag as I was battling to readjust my timing chip under my aero calf guards. Having lost over 40 seconds on the front of the race I was onto the bike ready to race (but not too hard 180km was a looong way!). The 180km bike was on a fabulous road service along the coastal highway for 2.5 out and back loops. I caught up with the front of the race just in time for the arrival of Lisa. I appreciate Lisa has history of breaking the rules in triathlon but I have raced Lisa many times this year and we share a passion for biking pretty hard. Close to the first turnaround my spirits were lifted seeing Ben and Mark out on the course and I was proud to be sat in an amongst the front of the race. Nutrition was all going to plan and I glanced at the time when we hit 100miles and it read something close to 4hours 15minutes.. I knew this was strong riding and happy my legs were sticking at it. The race dynamics stayed the same and nothing separated us three ladies apart from the 12m draft rule. Credit to the race referee who was proactive in making sure the media were not influencing the race and we respected 12m gaps. We all cycled into T2 together ready to endure the 26.2mile run..
“Kimberley you are an Ironman” was announced as I ran down the red carpet and Yvonne (who became the Ironman Barcelona Champion 25minutes earlier) was there to greet me with a massive smile and gave me my first Ironman medal.